Bob Quinn has pursued a path that differs from that of most Chinese Medicine practitioners in the U.S. He has studied and practiced a neoclassical style of acupuncture whose roots are more Japanese than Chinese, although the same core Chinese classical texts are studied for insights. This style, referred to as Japanese Meridian Therapy, utilizes very gentle techniques. The acupuncture needles are far thinner and are inserted typically only very superficially; often they are not even inserted at all. 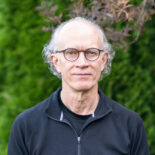 In his clinical practice at NUNM and in his private SE Portland clinic, Dr. Quinn treats a variety of conditions, ranging from musculoskeletal pain to anxiety to chronic conditions, including Lyme disease. A writer as well, Dr. Quinn has contributed articles, case studies, book reviews, and interviews to professional publications such as the North American Journal of Oriental Medicine and The Journal of Chinese Medicine, along with monthly columns in community papers for the public.